We know from experience that the long summer holiday leads to lower grades in September than those achieved in July. 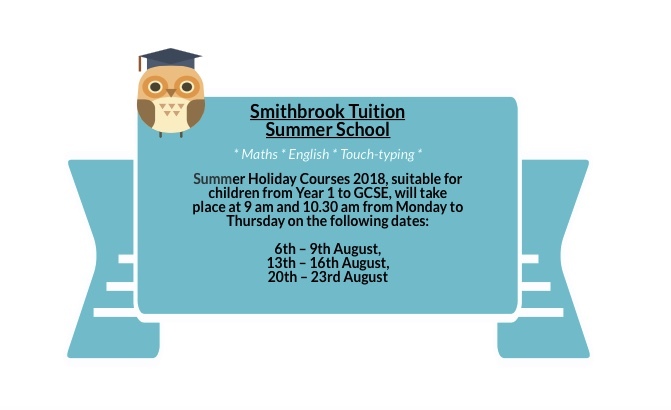 With this in mind, we offer flexible refresher sessions in English and maths during the holiday so your son or daughter can return to school in September feeling relaxed, confident and able to achieve their full potential. This award-winning typing program is the only one that introduces keys alphabetically. Battle dragons, play penalty shootout with gorillas and roll giant snowballs at penguins! Mastering the keyboard will give your child a flying start at school and this is the most fun they will have learning to type. This unique approach makes learning the key positions incredibly quick and easy.